What's the weather forecast for Mt. 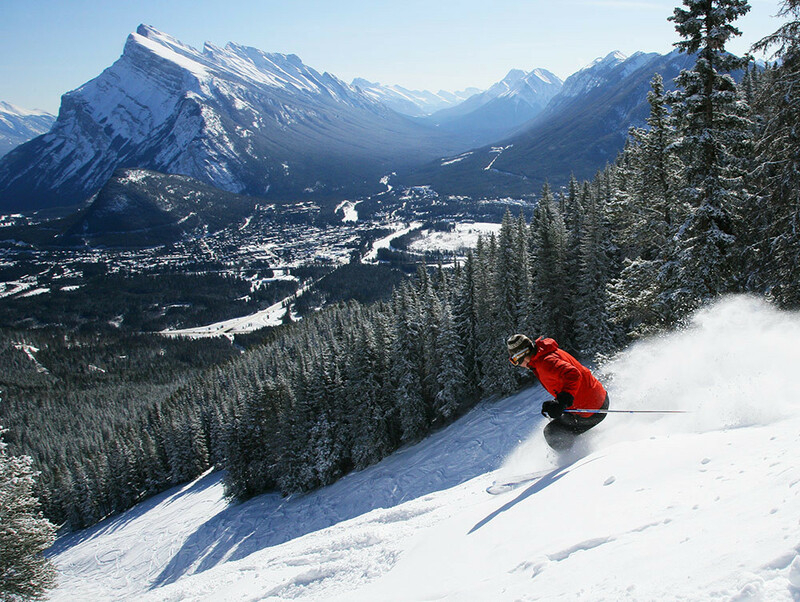 Norquay this week? Check out the long-range weather forecast for Mt. Norquay, including temperature, predicted snowfall and wind details at the summit and base throughout the day for the next week. Tab over to overview or Hour by Hour for alternative views of the Mt. Norquay weather forecast. Get Snow Reports, Powder Alerts & Powder Forecasts from Mt. Norquay straight to your inbox! Crowds are small on the Mystic chair. The hill does need some more snow though. Not bad today. Lots of good snow still to be found off of North American/Norquay Chair and Mystic. The steep groomers were a bit slippery but not terrible. Views were unbeatable on a blue bird day. Skied here Dec 23rd, lots of fresh powder under the Norquay chair, groomers we also nice. Runs not groomed we're unskiable. Frustrating day. 50cm of powder the last 3 days but you can't get to any of it lol. They opened the North American chair for the first time this season and it broke after 2 hours. The groomers are great if that's your thing. Icy with hard rubble on surfaces that get sun. But the glades at the Mystic side of the hill were amazing with lots of untracked areas and powder. We had a great time! Pretty icey in the morning. But After lunch the heavens opened up and it snowed all day! Conditions went from awful to awesome! Mar16 4" of fresh powder, sun came out by 10am, made first tracks off Mystic Chair, gorgeous day all round! Went for toonie day - lots of us did! Snow wasn't too bad - the hill could always use more. But we had fun. Awesome powder day on Saturday! It was also 80s day on the hill. Great fun! About 10cm of powder today, but most of the new snow was skied off by the afternoon. Great first day but Norquay in desperate need of snow. Heading to Louise tomorrow in hope of some fresher stuff underfoot. Quay icy places & anything high up now really worth a ski as really exposed in parts with nothing to grip on. Avoid fat skis if possible or you'll be sliding about a bit! Went on Friday 30th, it was a beautiful day, not to busy, fair morning conditions, the afternoon got a little icy.